Well hello! It’s been a while…and that’s because I’ve been out of the country! (My next blog post will chronicle that amazing adventure). But once I got home, I had an amazing author dinner almost right away. 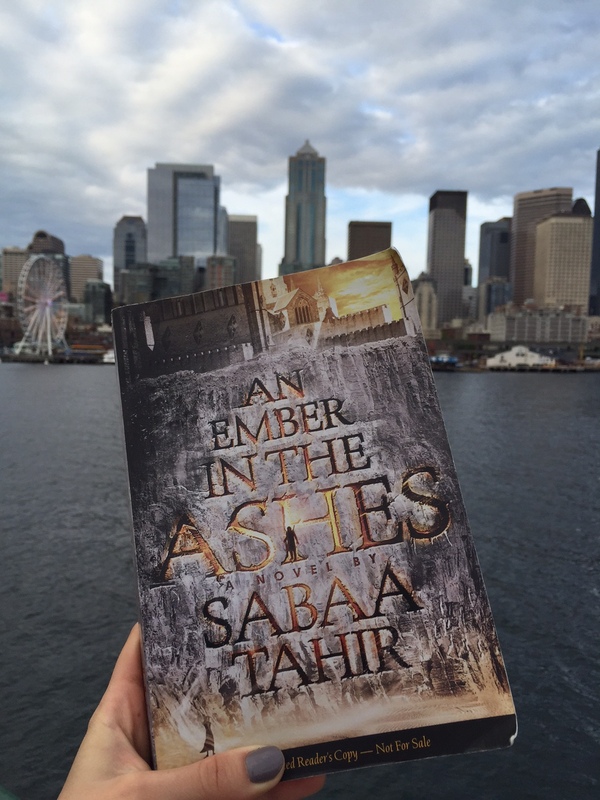 Friday night was a dinner thanks to Penguin Teen/Razorbill for Sabaa Tahir’s debut novel An Ember in the Ashes. This was a really great YA, high fantasy read that takes place in a world where Scholars and Martials are always at odds and the current ruling group, the Martials, treat Scholars no better than animals. Laia is a Scholar girl who has found herself in a desperate situation and has become a spy. But to become a spy, she has to pose as the personal slave of the Commandant…the head of the Empire’s greatest military academy. While she’s there she meets the Commandant’s son, Elias, who thankfully doesn’t share any of the same views as his mother and may be just the thing their world needs to end all of the violence. Ember is full of great fight scenes and takes place in a magical world of Sabaa’s creation. Teenage girls and boys will both love this exciting book that just might be the next big thing 🙂 Also, Sabaa was lovely and so much fun! So hoping for a book two!!! Dinner with Sabaa! Alison from Eagle Harbor Book Co covering her face, myself, Sabaa and Suzanne. Wearing masks of course! 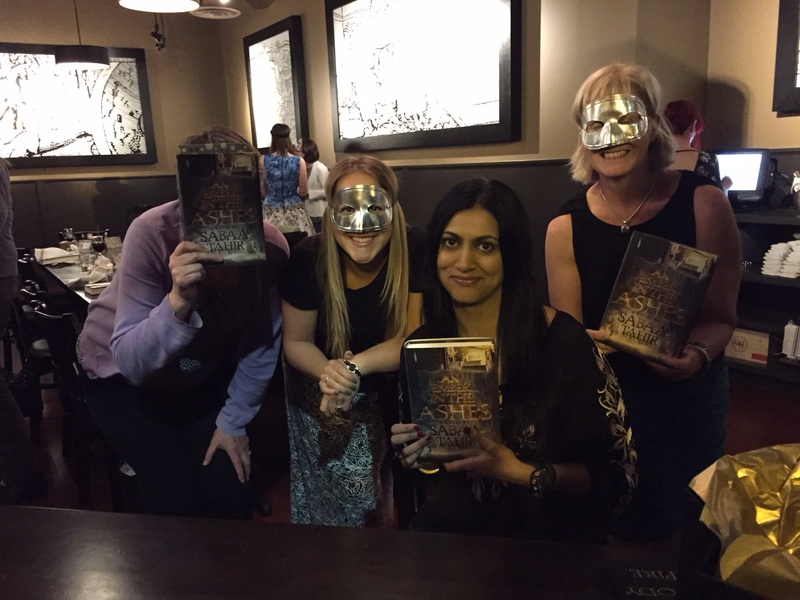 Thankfully ours were much less painful than the masks in the book!